In 1850, 5,000 members of the Shaker religion lived in communal villages from Maine to Ohio. 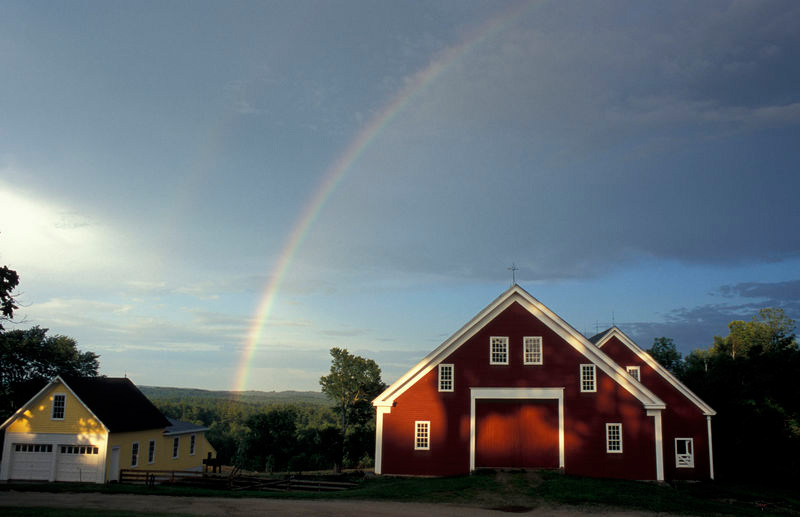 Today the last practicing Shakers reside at 1,700-acre Sabbathday Lake Shaker Village, Forest and Farm located 20 miles north of Portland, Maine. The village has long been open to visitors, who come to tour its historic buildings and learn about traditional Shaker crafts, or to picnic, hike, or cross-country ski in the surrounding forests. But advancing sprawl from nearby cities forced up the value of the land, increasing property taxes, and the community found it challenging to maintain the village's 19 historic buildings to preservation standards. In 2007, The Trust for Public Land worked with several partners to raise $3.5 in funding to purchase easements that allow for sustainable farming, forestry and low impact recreation, while prohibiting development and inappropriate uses. A stewardship fund was also put in place for the future care of the land and buildings.